In Southern Oregon, Kelsy Ausland, P.E., president of Medford development firm Ausland Group, sees a small uptick in private projects. Even if it’s just a 70-stall parking lot outside a corporate office, it’s still a sign that business and employment is picking up. “Two years ago, people weren’t investing in those kinds of projects,” she says. “Now they’re starting to.” But the Coast and most of the rural areas in the state “are really hurting for construction work,” says Mohlis. One exception: data centers. Technology companies from Apple to Yahoo have been building data centers in Central Oregon and the Columbia Gorge in recent years. The latest: a 62,000-square-foot addition to one of Facebook’s two 332,000-square-foot Prineville data centers. Those projects employed roughly 250 construction workers every day they were being built. The social-media giant also has land for a third building as large as the first two should demand require it, says company spokesman Lee Weinstein. 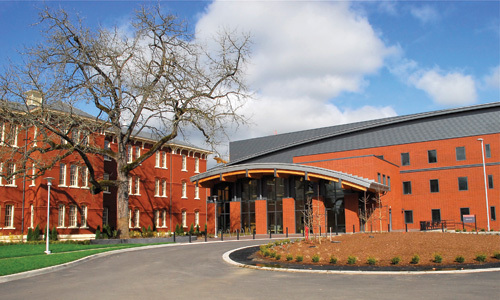 Other education projects, from the $6 million seismic retrofit of SOU’s Churchill Hall by Ausland Group to a $10 million renovation of the University of Portland’s library by Todd Construction of Tigard, have kept builders busy as well. Similarly, local bond measures have led to K-12 building projects for some firms, including Todd, which will build Portland’s $37 million Parkrose Middle School in the coming year. And Oregon State University’s plans to expand its Cascades campus in Bend into a four-year university by 2015 likely will require some new construction or renovation just down the road. Yet the bright education spot may be dimming. For starters, the Legislature only approved $265 million in capital construction funds for the 2011-13 biennium, down from $758 million in 2009-11. Along the same lines, earlier bond measures for schools, fire stations and other public projects are winding down. Like education projects, health care construction has been strong over the past few years. Smaller clinics as well as large hospitals — such as the $9.3 million Curry Medical Center in Brookings and Kaiser Permanente’s under-construction, $344 million Westside Medical Center in Hillsboro —have kept crews working steadily. The state, too, is building two new hospitals to the tune of $458 million to replace the existing Oregon State Hospital. But all this could be tapering off. Part of that has to do with the slower economy, but part may also be the uncertainty related to health care reform. After the housing bust and recession, when the dust finally settled over the destination resort scene in Central Oregon, there were unfinished golf courses baking in the desert sun, thousands of approved home lots sitting vacant and a handful of planned resorts that went bankrupt. 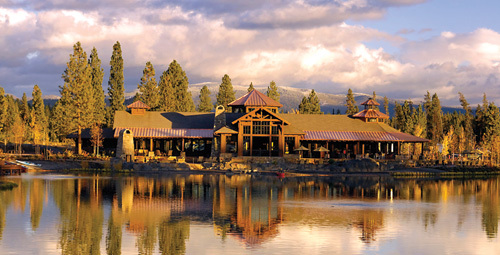 “The resort community had a huge shakeup,” says Galash, of R&H, which has done its fair share of resort work at places such as Black Butte Ranch and Caldera Springs. The sector has long since hit bottom, and it’s been slow to crawl back up. Remington Ranch and Thornburgh Resort filed for bankruptcy in the past two years; others, like Tetherow golf resort, remain in limbo, although there are signs of a gradual turn. Portland developer Joe Weston, who’s owned land at Tetherow since 2007, plans to develop overnight facilities there, which Galash says bodes well, if not for the larger resort scene, then at least for Tetherow. Elsewhere, other builders have seen some healthy returns in other areas of hospitality. “We’re doing a number of new hotels and renovations for different developers,” says SERA’s Schultz. “Slowly and quietly, we’ve seen a comeback in hospitality” in Portland and elsewhere around the state. Ausland Group is currently renovating two Holiday Inns in Grants Pass and Roseburg, and similar to R&H, which completed an expansion for Deschutes Brewery in Bend, the firm just finished up a 28,000-square-foot brewery for Ashland’s Caldera Brewing. Jon Bell is a Portland-based journalist who writes frequently for OB. He can be reached at editor@oregonbusiness.com. ← CALDERA’S NEW BREWERY/DISTILLERY/PUB: IT’S GONNA BE HUGE….